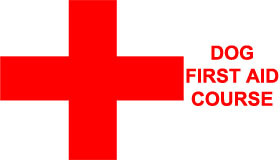 We are happy to be offering a first aid course for all dog lovers on Sunday May 5th 2019, 9.30am to 1.00pm. Find out more details here and book here or contact us now if you have any questions! 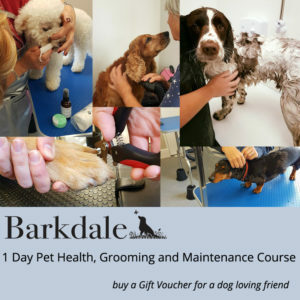 Whether you want to learn how to groom your own dog or want to set up a dog grooming business, Barkdale is the perfect place to learn. We have developed a range of courses that can be tailored to your exact requirements dependent on your aspirations, all run from our fully equipped training academy. The training room is an open plan practical classroom and can accommodate up to 8 students at any one time. Each work station is fully equipped and operates under City & Guilds training standards. We also have a full walk-in wet room and drying area. 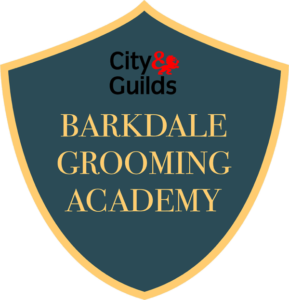 Dependent on the course you choose, our experienced team will teach you everything you need to know about grooming and with the bonus of a fully working grooming business on site each student can gain a greater understanding of the industry. 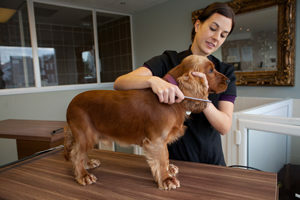 Is dog grooming the career for you? 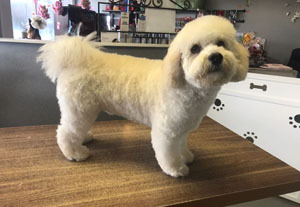 Are you looking for Barkdale Grooming Salon?